A big thank you to Hero Arts for being our sponsor this month. 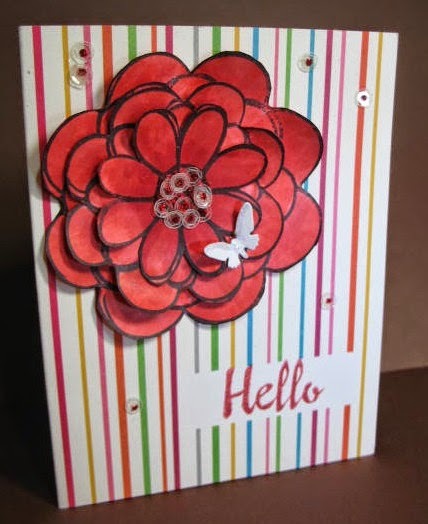 She has used Hero Arts Poetic Petals Printable PT004 coloured with Copics. 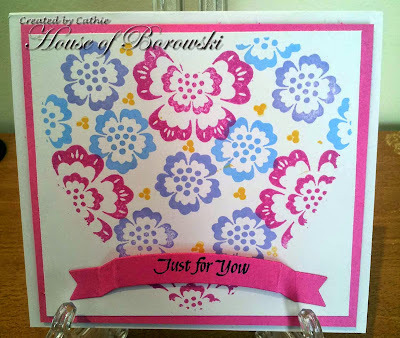 Spellbinder Circles and Scalloped Circles die to cut out and finished with a stunning ribbon bow. Still a few days to join our monthly challenge. It's a Hero Arts Day! 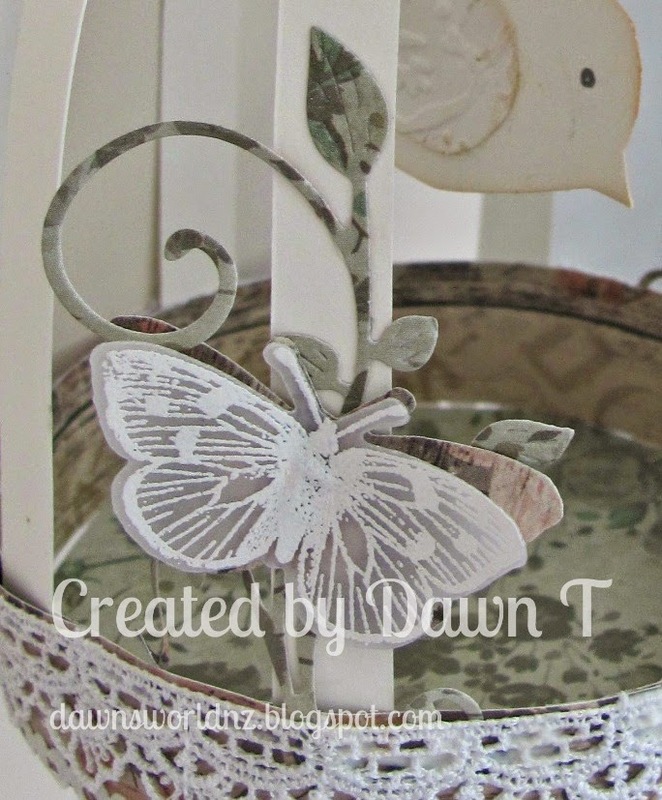 Arlene's butterfly is crawling up the stem of the flower to say "Have a FABULOUS Day" to you all. I overdid the sparkle, but I was in a mood to bring sparkle into my life. It's spring and the flowers are popping up here. Here's Hannah's garden! 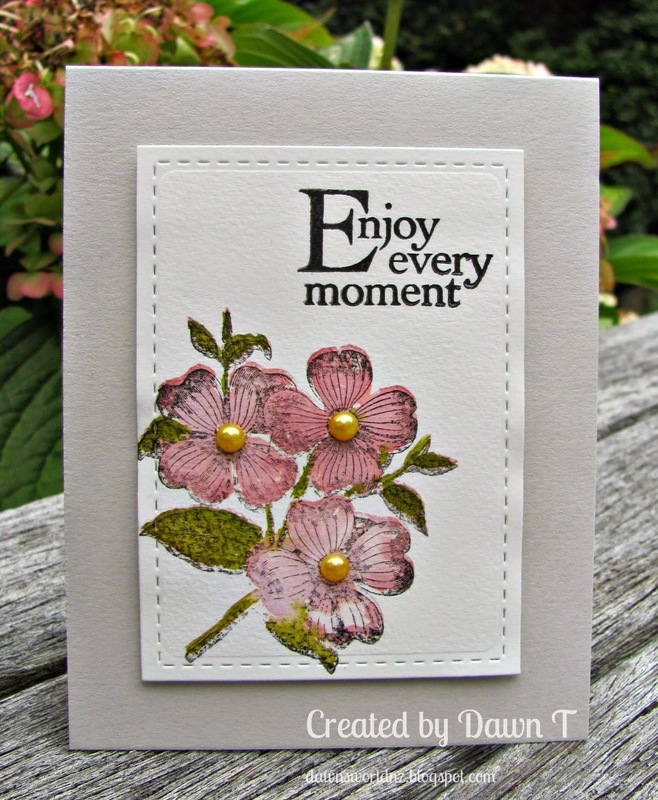 A flower and a sentiment are all you need. 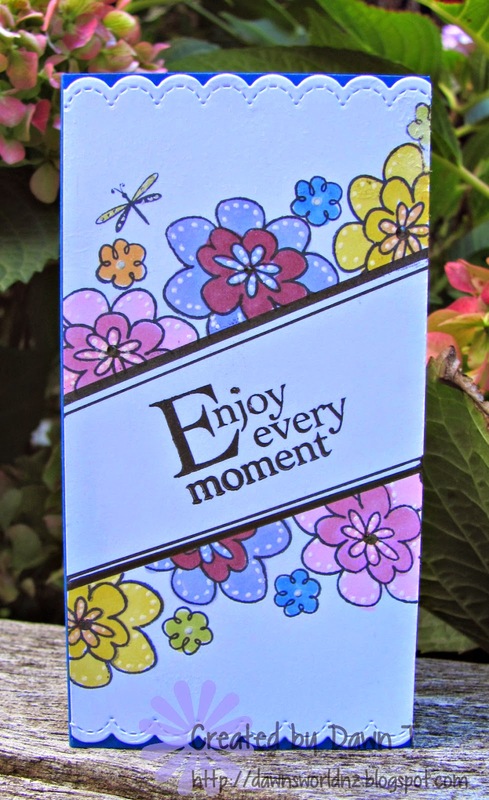 I've got a card to share with you today. 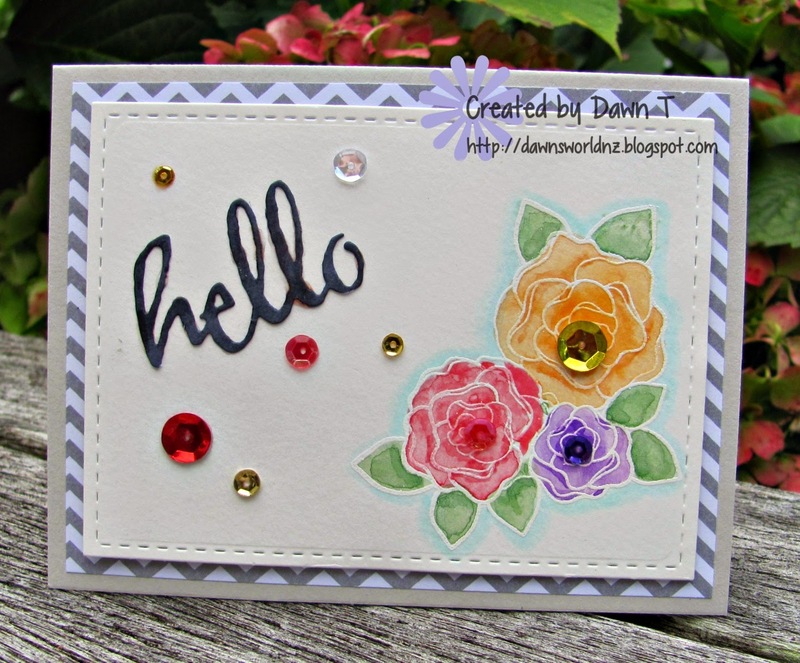 Using some roses from Hero Arts, white embossed and coloured with aqua crayons. 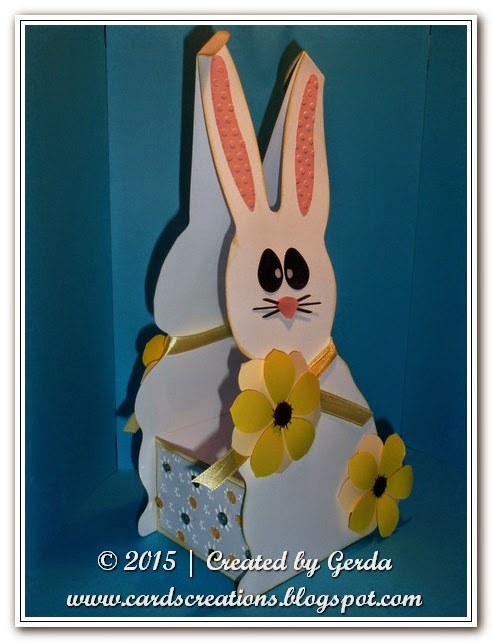 Die cut sentiment from Winnie & Walter. Some lovely fruit from the Garden. 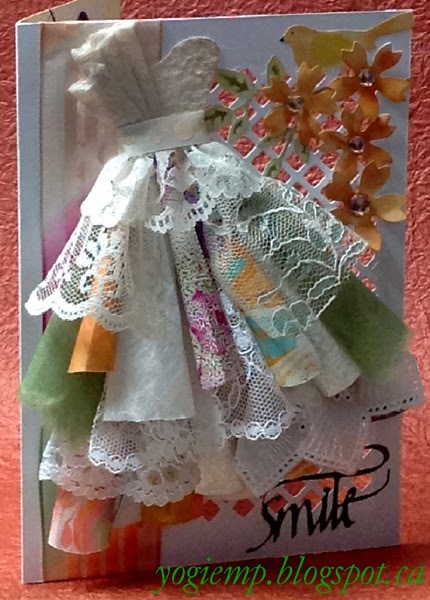 Arlene has made this gorgeous card. 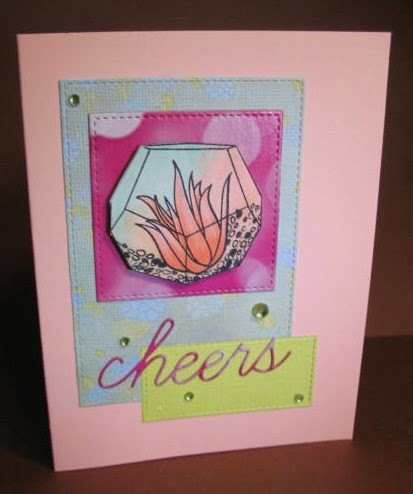 For a little more on this card, visit Arlene at A Bit of This and That. Hero Arts has it all! I really like the plants Hero Arts created for their spring catalog this year. I hope you like them too. I've planted my own succulent garden. At least these will live longer than the ones in my house. Cathie here with some more Hero Arts Inspiration. 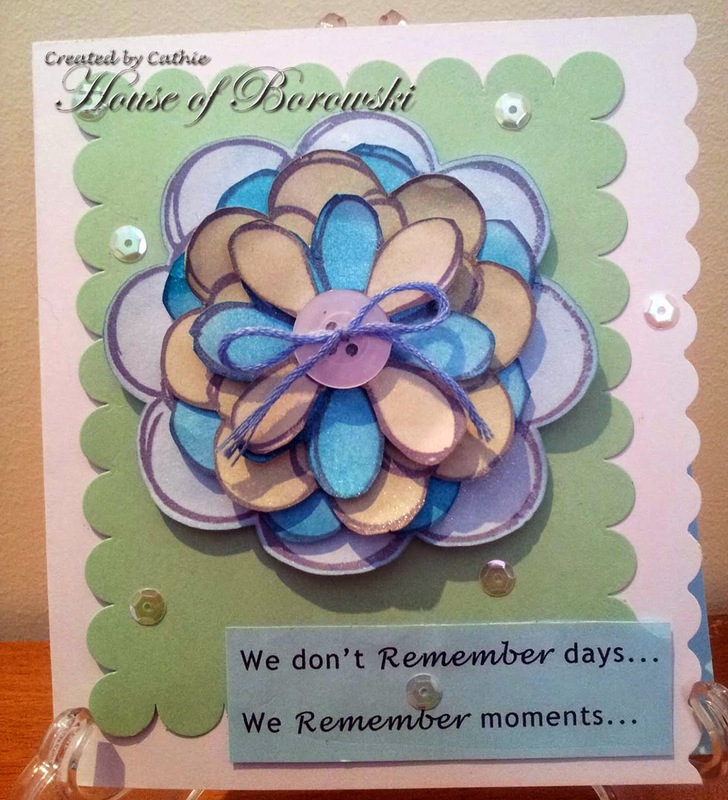 Using Hero Arts Hand Drawn Flower, I have created a multi-layer flower after colouring with assorted distress inks. 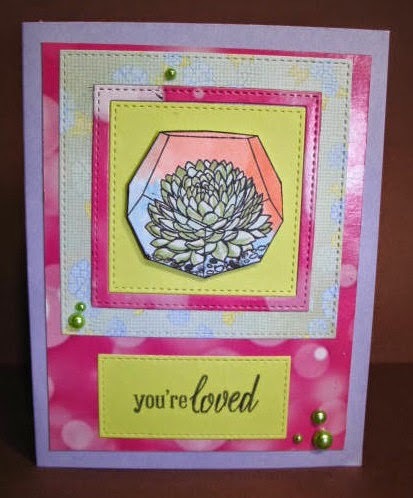 I have kept the layout really simple as I wanted the flower and the computer generated sentiment to be the focus. As you can see there are lots of die cuts and layers with this one. 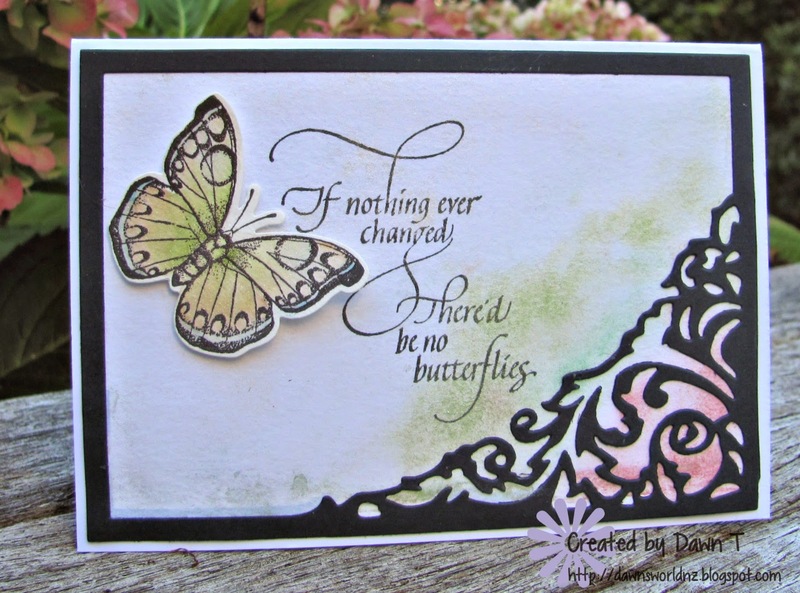 This one uses the same HA butterfly with a Quietfire Designs sentiment and the frame is a Couture Creations die. Please email us at thedcdivas@gmail.com to claim your prize. We'll need your email so Bugaboo Digital Stamps can contact you with your winner's code to choose seven digital stamps. .
and some of our favourites.. When I read that Lee Ann fussy cute every one of these tulips, I was so impressed! I don't have that kind of patience. The background is really pretty, and the windmill is really cool with the metal for the spinning piece. 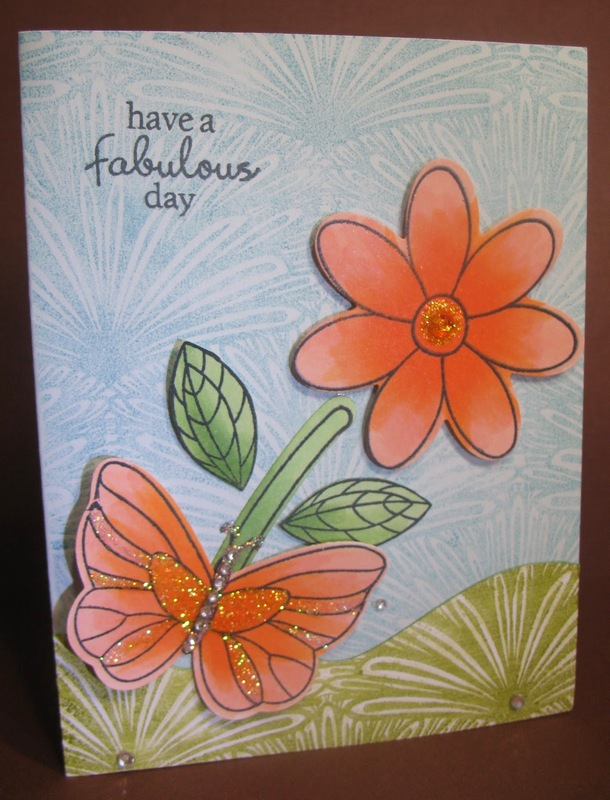 This card will really make someones day! I love the grass and the cute little girl. The bow is so pretty. Love the spring colours. 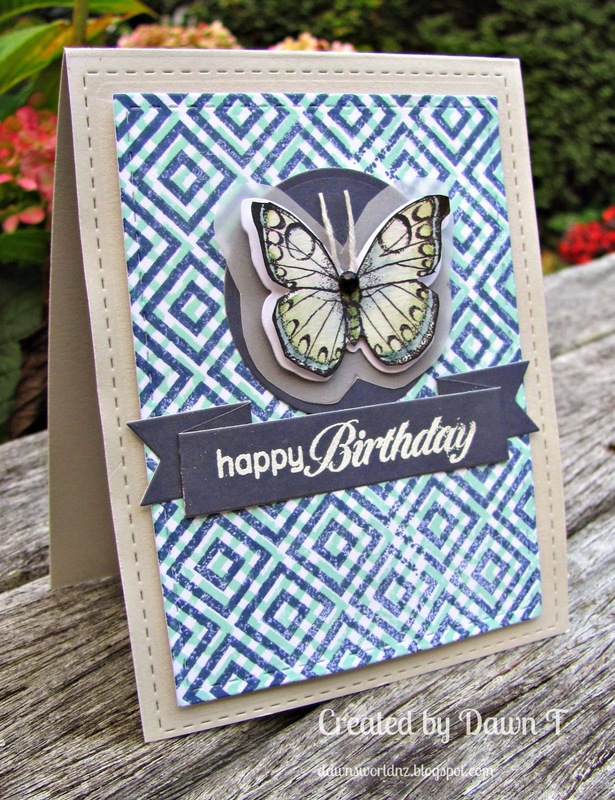 Arlene's favorite is Gail L.
The butterfly is just beautiful, but does not overwhelm the card or the image. I love the shading on the little gal and especially the hair. I love the delicacy as well dimension of this lovely dress. I also love how Yogi has included all these great elements peaking out from behind, gorgeous. Hi all. 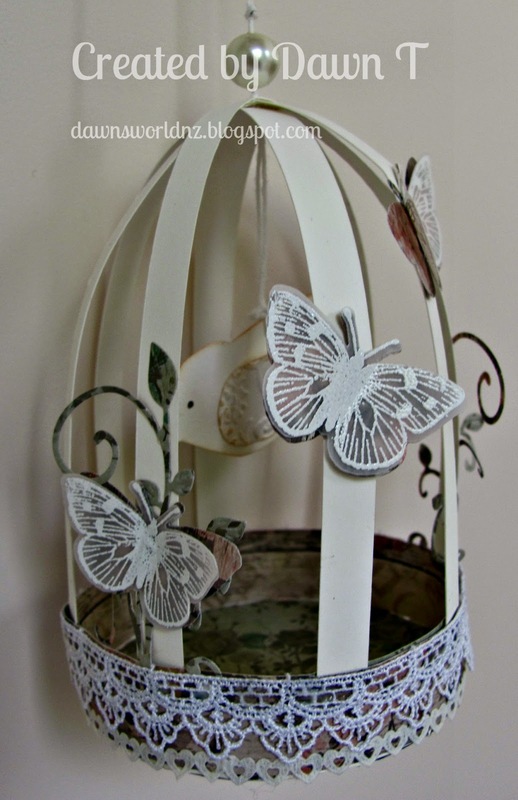 I'm carrying on the theme from last month's Spring and this month I want to see projects inspired by "In the Garden"... think florals, birds, butterflies and whatever else the theme inspires you. Our sponsor this month is Hero Arts. 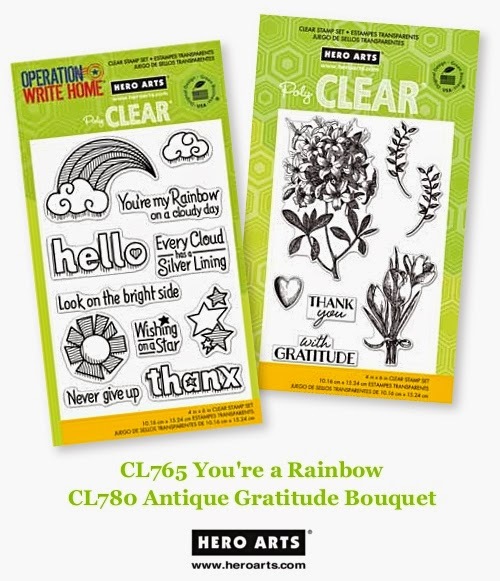 The Prize for April are these two wonderful clear stamp sets below. 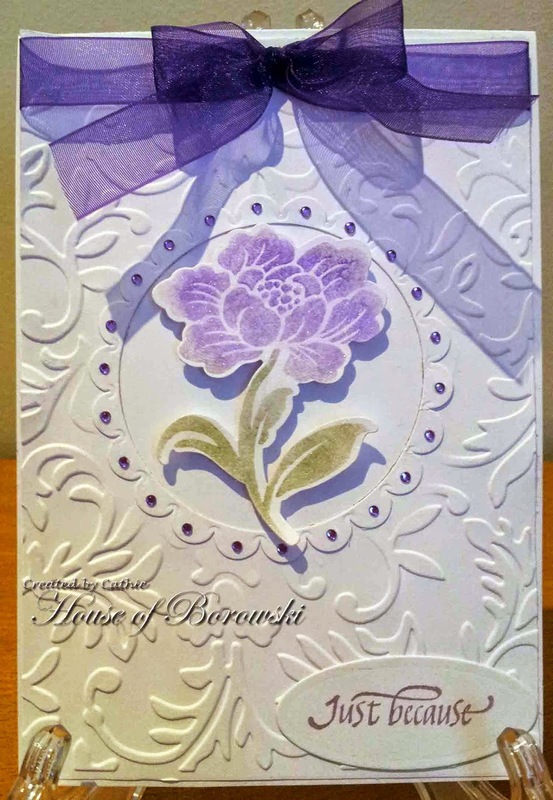 Remember, you have to use a die-cutting machine to either die-cut or emboss something you use on or in your card or project. You have to also follow the challenge theme for the month. 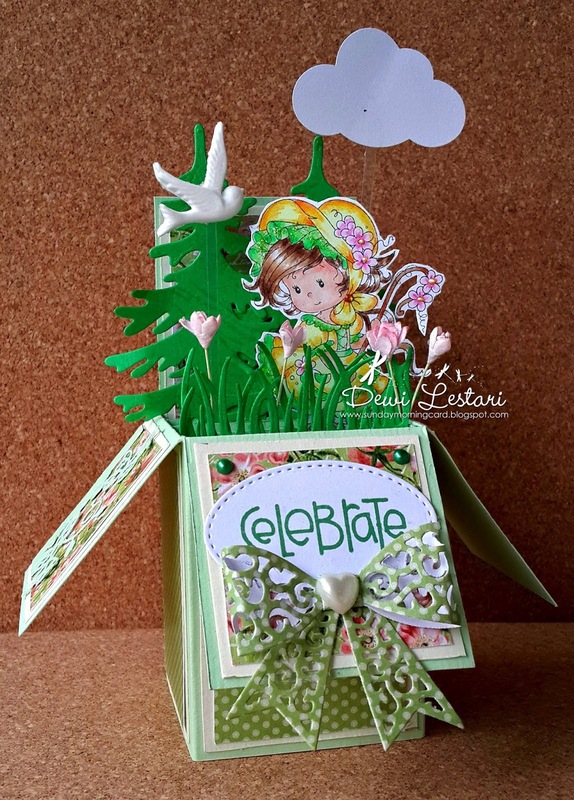 Using the Dogwood stamp from HA S5362 /Sizziz stamp & die set 657773. I love picking strawberries and tasteng that wonderful sweetness. If I have a vegetable garden, I want fruit trees too. I think this is a Spellbinders oval tag - one of a number of tags in one metal plate. 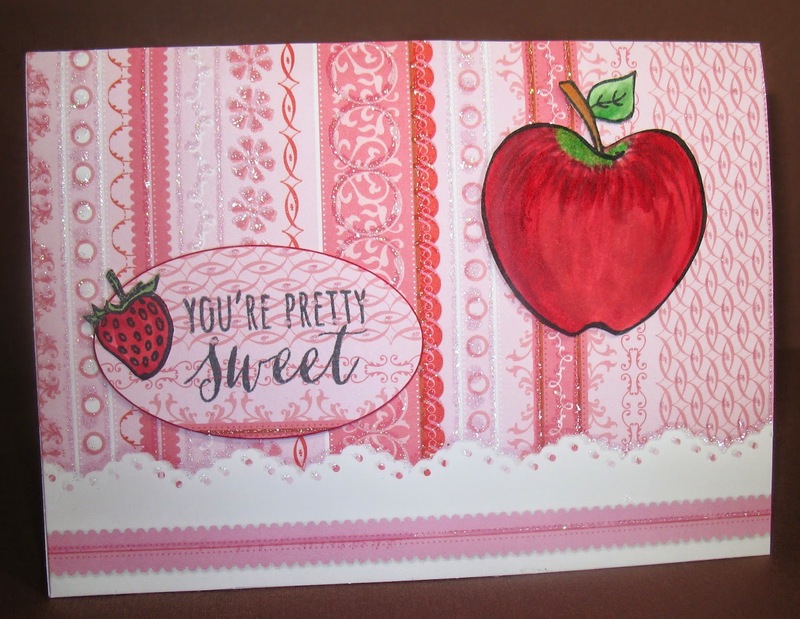 One gorgeous background that has become the focal point of the card. 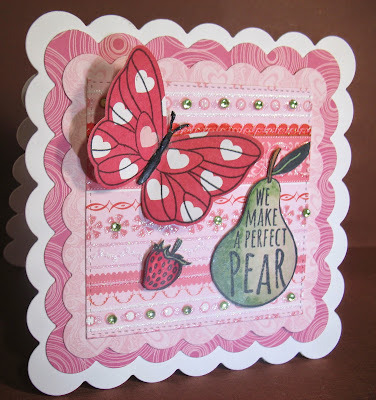 Hero Arts and Sizzix Floral Stamps and Framelits (Product Number 657776), Quietfire Designs Tiny Sentiments,Couture Creations Scalloped Circles, Spellbinders Standard Circle Small, Spellbinders Mega Circle Large, Cuttlebug Victoria, Tim Holtz diffuser. 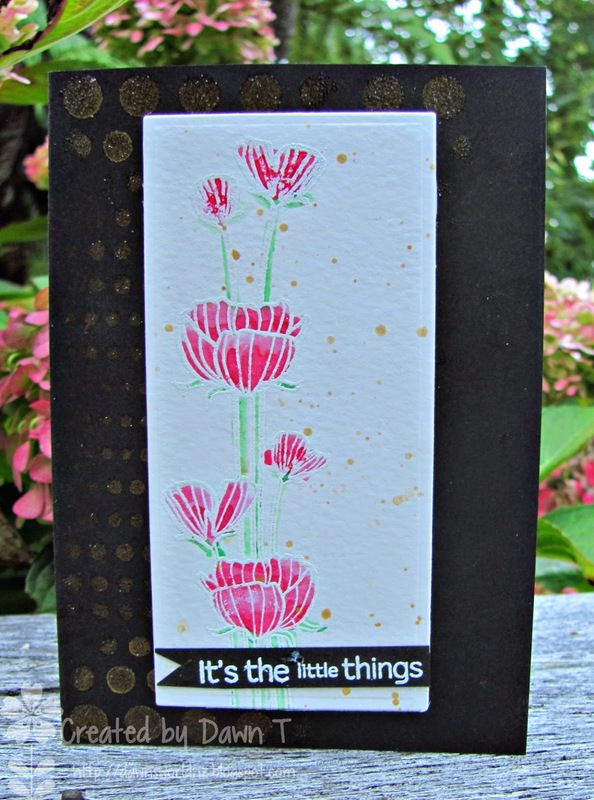 CG199 Sunny Smiles, mowed lawn distress ink, and cuttle bug dots embossing folder.